Is It Curtains for the App Store? Guest post by Bob Dennis, freelance Web designer with experience in everything from audio production to social networking. After two-and-a-half years, iPhone app developers are getting fed up with Apple’s lengthy and often inconsistent approval process. Also, $0.30 may not seem like much, but the fact that Apple is taking 30% of all app profits has stirred some unrest. “The approval process for apps is a black hole,” says Tom Conlon of Popular Science. It’s difficult to get apps through, and then any updates and fixes take another 3 weeks. “They really need to sort this process out or they are going to end up losing developers to other platforms, which make it a lot easier to get an application approved and have more transparent processes,” explains Roland Hutchinson of Geeky Gadgets. Some have begun bypassing the App Store entirely with HTML5. As mobile browsers become more powerful, Google and its partners decided to do things their own way. 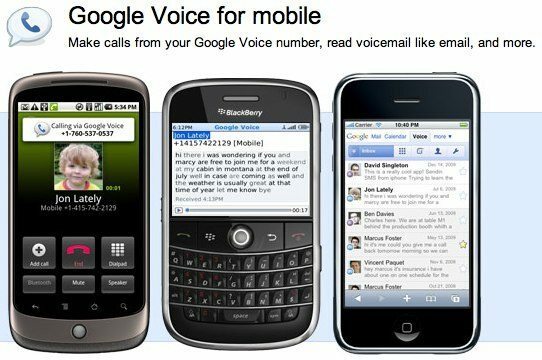 After Google Voice and its third-party apps were turned down by Apple due to “it duplicating features that the iPhone comes with (Dialer, SMS, etc),” Google built a completely browser-based app, avoiding the restrictions and not having to split the profits. Web 2.0 introduced an application-geared Internet. Programs can be run completely online. Advances in browsers and especially HTML5 have sped this along by allowing these apps to be used offline as well. 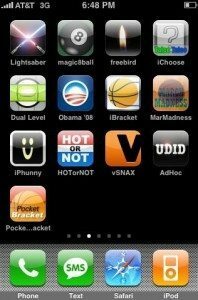 These Web-based “apps” can then be bookmarked on the iphone and run like a normal iphone app. This is a big deal. Developers can completely bypass Apple’s money-grubbing, dictatorial policies. If you had a chance to increase your profits instantly by 30%, wouldn’t you? Wil Stephens, CEO of Cube Interactive, shared in his review of Google’s Nexus One, “First up, I don’t really care much for apps. I believe the mobile Web will eventually win, and that apps are here as a transitionary measure until we can sort out browsers that are good enough to emulate the Web experience on mobile.” It’s only fitting to see smartphone apps mature the same way desktop apps have in the past 5 years, by going Web. With Google’s Chrome OS on the horizon, it seems the forecast is for everything to happen in the cloud, not via device-specific apps. But, with an easier way to deliver custom content, receive full profits, get instant results, and even an opportunity to provide subscription apps instead of one-time purchases—will developers still stick with the mold Apple has pioneered, or will they break out of the box?